BEST FIGHTER FOR CANADA: The Super Hornet is NOT the only F-35 alternative! The Super Hornet is NOT the only F-35 alternative! I am sure by now many of you have seen the report stating that the Super Hornet is the only aircraft being considered by Canadian government officials as a true alternative to the F-35 Lightning II. This would seem to indicate that the "Eurocanards" (Typhoon, Rafale, and Gripen) were only included for appearances. First of all, I would remind everyone to take "reports" like this with a grain of salt. This would not be the first time a major bombshell dropped out of Ottawa only to fizzle out a short time later. There has already been plenty of false starts in the CF-18 replacement caper, there is bound to be a few more before all is said and done. It should also be noted that these "leaks" come out intentionally. This is a means to gauge public reaction before a controversial decision is made. There is a good chance the current government is "testing the waters" before coming to its decision. Many see the F/A-18E/F Super Hornet as the natural successor to Canada's aging CF-18s. 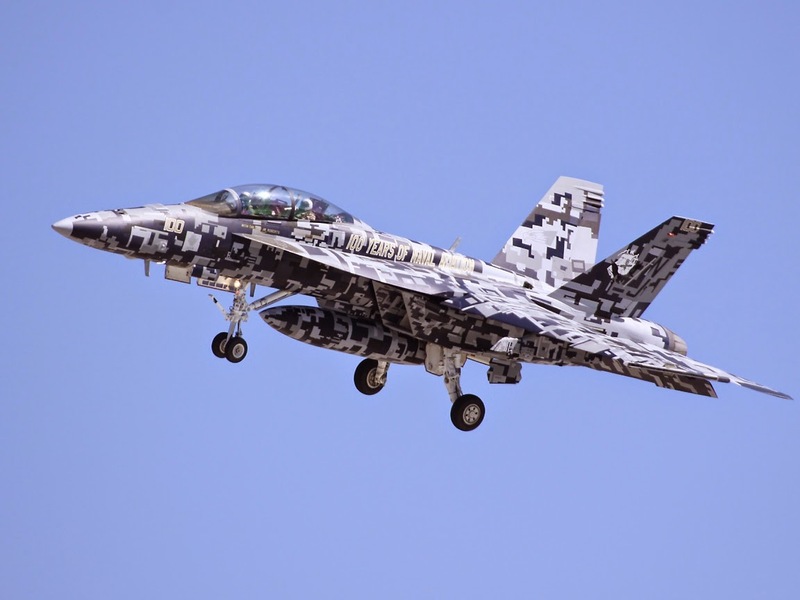 The Super Hornet is bigger, more modern, and in most ways better than the legacy Hornet. It is also similar enough to simplify the training, maintenance, and logistic headaches usually associated with a new military platform. It also helps that the Super Hornet has already proven itself in the U.S. Navy over the last few years. On top of all that, it would likely be one of, if not the, cheapest option. So why not just go ahead and get it? For one, it may not be the best fighter for Canada's needs. While it certainly is an impressive workhorse, and the USN seems quite happy with it, the Super Hornet lacks some of the capabilities found in other fighters, like a built in IRST, supercruise, etc. 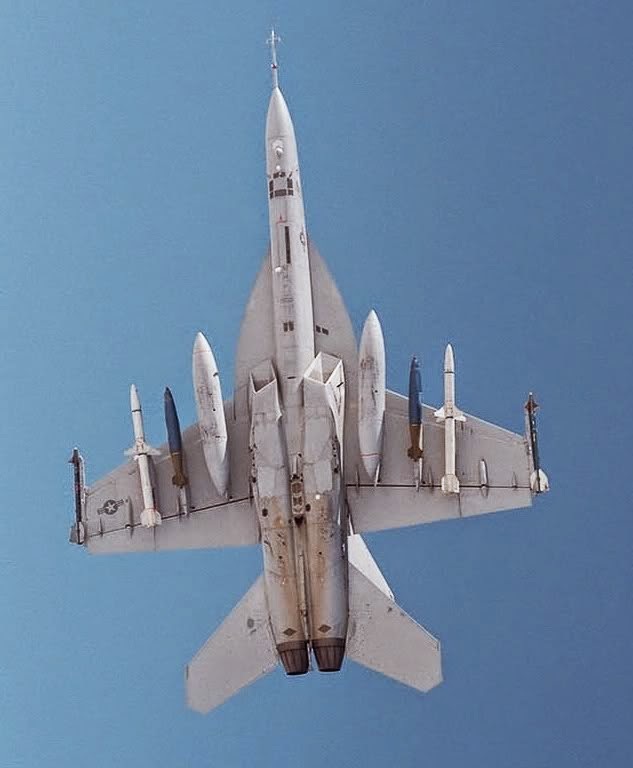 The Super Hornet's external IRST. 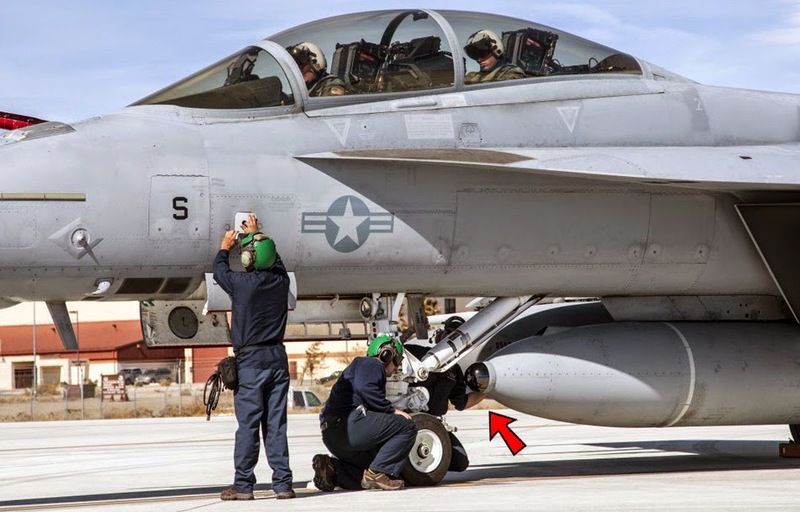 This is a known issue with the Super Hornet and steps have been taken to fix this. An external IRST has been developed, mounted on then centerline external fuel tank. While this does give the Rhino IRST capability, it is still somewhat of a kit bash. For one, its placement is not optimal as it gives only a forward-down view. It also requires the use a one of the Super Hornet's pylons to mount the hybrid fuel tank/IRST pod. This adds weight, RCS, and drag. It also makes for a compromised fuel tank, as it reduces the amount of room available for fuel. Also, forget about jettisoning it to save weight. Boeing has gone one better however, with the "Super Hornet International Road Map" aka the "Advanced Super Hornet" aka the "Block III Super Hornet". 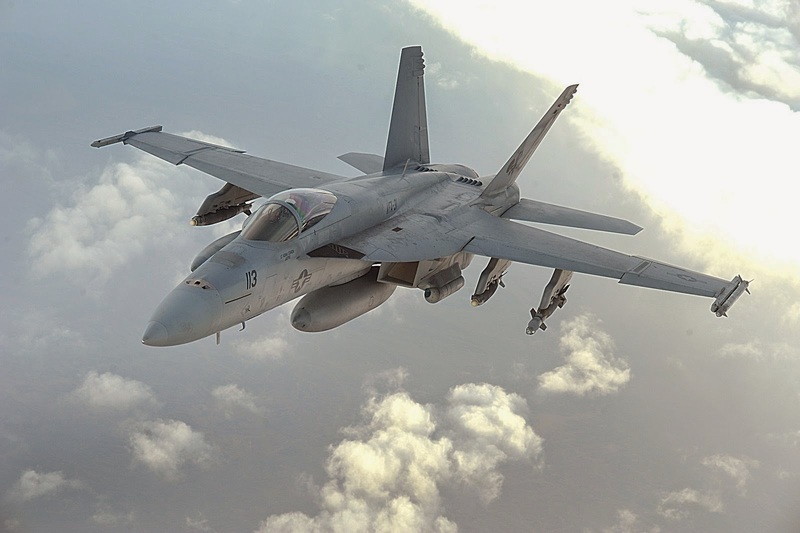 The Advanced Super Hornet improves on the Super Hornet by adding built-in IRST, CFTs, enclosed weapon pods, and a more powerful variant of its GE 414 engines. 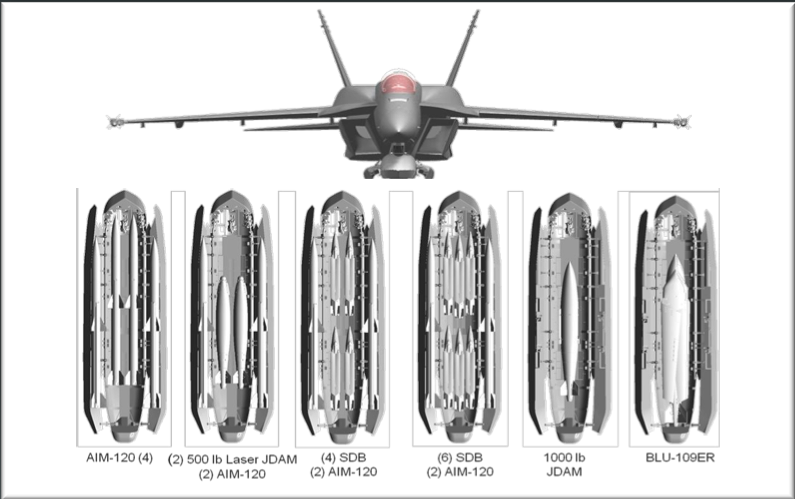 This promises to fully flesh out the Rhino to compete with other fighter aircraft on the market. If Canada were to select the Super Hornet, the Advanced Super Hornet would certainly be the way to go. While the USN has been "pleased" with Advanced Super Hornets thus far, it has yet to actually commit to upgrading its current or future fleet. With the F-35 program taking up most of the Pentagon fighter budget, there may not be any Advanced Super Hornets in the USN's future. If Canada does decide to procure the Block III Rhino, it may very well be the only ones footing the bill for all those upgrades. While plenty of figures have been thrown around regarding these upgrades (usually and additional $10 million per copy) the true cost will ultimately depend on the number of aircraft built to that standard and how smoothly testing goes. The real issue would be the extra cost and complexity of operating a "bastardized" model. This issue has been raised with the troublesome Cyclone helicopter program. With Canada as the only buyer, the manufacturer has little incentive to fix issues on a timely basis, as other more lucrative projects take priority. This also reduces the aircraft's interoperability with other services, as different parts and training are needed. That 3° outward pylon angle increases drag, but is needed for proper weapon separation. 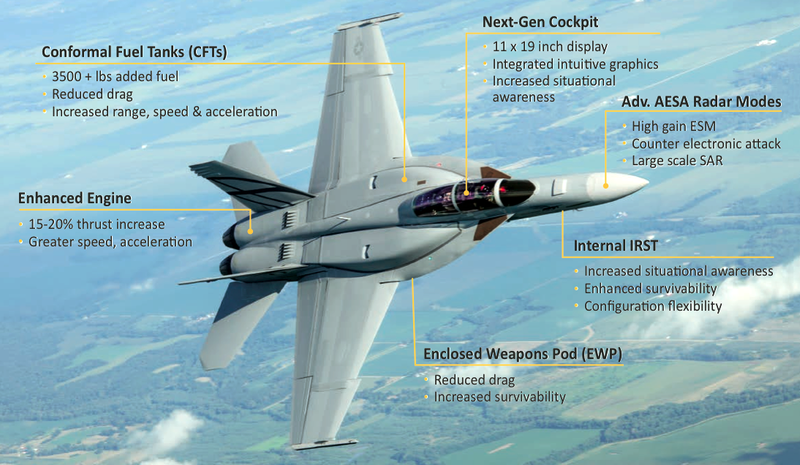 If the Super Hornet is chosen to replace the CF-18, it should do so on its own merits based on performance and price. To select it simply because it is the only other American-built alternative is both foolish and negligent. For one, Canada has bought European aircraft in the past. It currently operates the Airbus made Polaris and the Agusta-Westland Cormorant, both European made. Pilot training is conducted in BAE Hawks (these are leased). A look at Canada's current military equipment reveals weapons originating from Sweden, France, Belgium, the UK, and countless other countries. Before the F/A-18 was selected, both the Mirage F-1 and Panavia Tornado were considered. Also, Boeing is still manufacturing the F-15, and likely will be long after Super Hornet production has ended. If Canada is hell-bent on purchasing an American fighter, the Silent Eagle is certainly worth a look. Would the Super Hornet be an acceptable fighter for Canada? Absolutely. Is it the best fighter for Canada? That gets more complicated. If going by cost, the Gripen NG would cost more to procure, but lower operating costs would more than make up the difference. If two engines is required (the F-35's selection would suggest it isn't) then both the Typhoon and Rafale offer superior speed and performance to the Super Bug, and both have built in IRST. The Super Hornet's carrier capability would help it operate from austere bases, but the Gripen and Rafale have this ability also. Even with the proposed Block III upgrades, there is just very little about the Super Hornet that stands out. It may very well be "good enough" but since when should that be something Canadians shoot for? Perhaps the best decision with the Super Hornet would be to purchase a smaller amount, much like Australia did. A purchase of a smaller amount (say 24-36) would bring the RCAF a much needed bump in capability while still leaving room to procure more fighters in the future. This may lead to the RCAF operating a mixed fleet, but that might not be a bad thing. So what fighter would work best with the Super Hornet? The Gripen NG would my first choice, it utilizes the same engine and the two fighters would both do an excellent job of making up for the other's weaknesses (Super Hornet's speed, Gripen's payload, etc). Then again, the pressure to purchase the F-35 may finally cause the government to cave in and purchase it after some of the kinks are worked out 5-10 years from now. Of course, by then, there may be another choice.